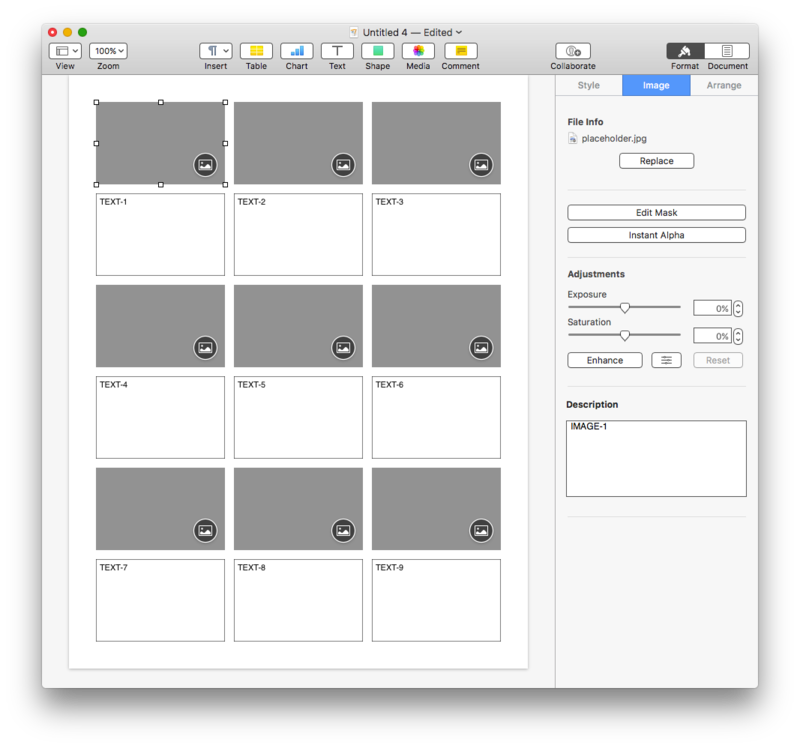 Grid-based design is a standard format of page layout used for documents that display numerous individualized items, such as catalogs. 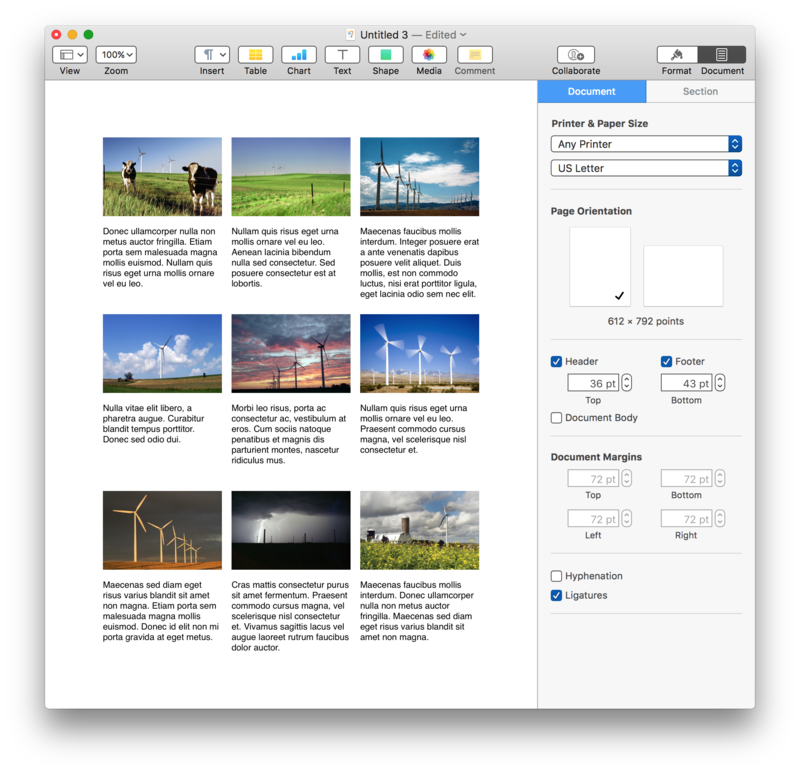 Here’s a script that can quickly create a grid of page items (text boxes and/or image placeholders), and even insert text identifiers into the created text items or into the image descriptions. DO THIS ►DOWNLOAD a Pages template file of the example shown above. NOTE: when using a document created with the template, add new pages by duplicating the first page. Here’s the script. Click the button to open it in the Script Editor application where you can run it or save it to the system-wide Script Menu. It is written using AppleScriptObj-C (note the frameworks declared at the top of the script) and actually creates custom-sized placeholder images dynamically! 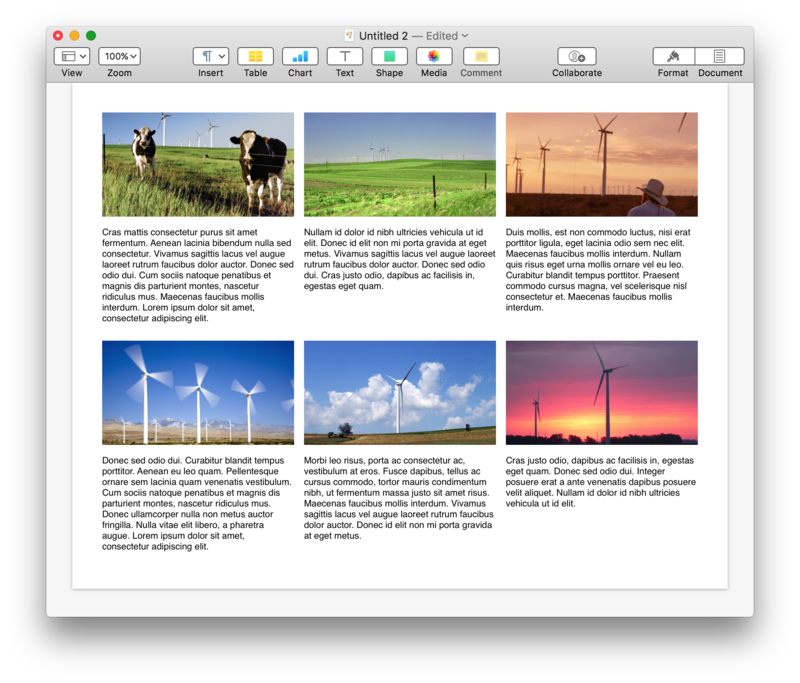 01 use AppleScript version "2.3.1"
19 tell application id "com.apple.iWork.Pages"
24 set paperSizePrompt to "What is this document’s paper size?" 30 set orientationPrompt to "Is the page orientation set to landscape or portrait?" 38 set objectTypePrompt to "Do you want to create just images, just text items, or both image and text items as pairs?" 42 set topMarginPrompt to "Enter the size of the TOP page margin to use (in pixels):"
45 set bottomMarginPrompt to "Enter the size of the BOTTOM page margin to use (in pixels):"
48 set leftMarginPrompt to "Enter the size of the LEFT page margin to use (in pixels):"
51 set rightMarginPrompt to "Enter the size of RIGHT page margin to use (in pixels):"
54 set columnGutterPrompt to "Enter the space between columns (in pixels):"
57 set rowGutterPrompt to "Enter the space between rows (in pixels):"
60 set columnCountPrompt to "Enter the column count:"
64 set rowCountForBothPrompt to "Since you’ve chosen to create paired image and text rows, enter the total row count (including both image and text rows):" & return & return & "(This value must be an even number)"
74 set rowCountPrompt to "Enter the row count:"
78 set pageIdentiferPrompt to "Do you want add identifiers to the page items?" 98 set targetImageFilePath to the POSIX path of (path to pictures folder) & "placeholder.jpg"
123 set placeholderText to ""
132 set placeholderText to ""
140 set placeholderText to ""
160 tell application id "com.apple.iWork.Pages"
212 error "There was a problem writing the image object to file." NOTE: (⬆ see above ) Be sure to disable word-processing mode by deselecting the “Document Body” option checkbox in the Document tab on the right side of the window.